The EC has dropped its long-running antitrust case against Microsoft. 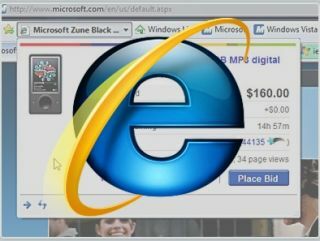 The corporation has agreed to offer users a choice of rival web browsers and the Commission has accepted the proposal. As a result of the agreement, users will be offered up to 12 rival browsers. The "ballot screen" has been given a typical Euro-jargon name - the "choice screen" is what it will now be known as. In a statement Microsoft said it was "pleased with today's decision...which approves a final resolution of several longstanding competition law issues in Europe. We look forward to building on the dialogue and trust that has been established between Microsoft and the Commission and to extending our industry leadership on interoperability." The screen will appear to every user of IE in Windows XP, Vista and 7 - though when it will roll out via Windows Update remains to be seen. The agreement ends the possibility of a second EC vs Microsoft court battle. "Today's resolution follows years of intensive examination by the European Commission of competition in computer software," continues the Microsoft statement. "The measures approved today reflect multiple rounds of input from industry participants relating to competition in Web browser software and interoperability between various Microsoft products and competing products." The EC also seems happy that the action is over. "Millions of European consumers will benefit from this decision by having a free choice about which web browser they use. Such choice will not only serve to improve people's experience of the internet now but also act as an incentive for web browser companies to innovate and offer people better browsers in the future," said European Competition Commissioner Neelie Kroes in a statement. The EC goes on to say that "Microsoft commits to offer European users of Windows choice among different web browsers and to allow computer manufacturers and users the possibility to turn Internet Explorer off. Microsoft is also publishing today an undertaking whereby it commits to make far-reaching interoperability disclosures." Computer manufacturers will also be able to install competing web browsers, set those as default and turn Internet Explorer off. The EC says that PC users, by means of the Choice Screen, "will have an effective and unbiased choice between Internet Explorer and competing web browsers... this should ensure competition on the merits and allow consumers to benefit from technical developments and innovation both on the web browser market and on related markets, such as web-based applications." Interestingly, Opera points out in its response that the browser choice agreement will have a term of five years and includes a semi-annual review of its effectiveness.